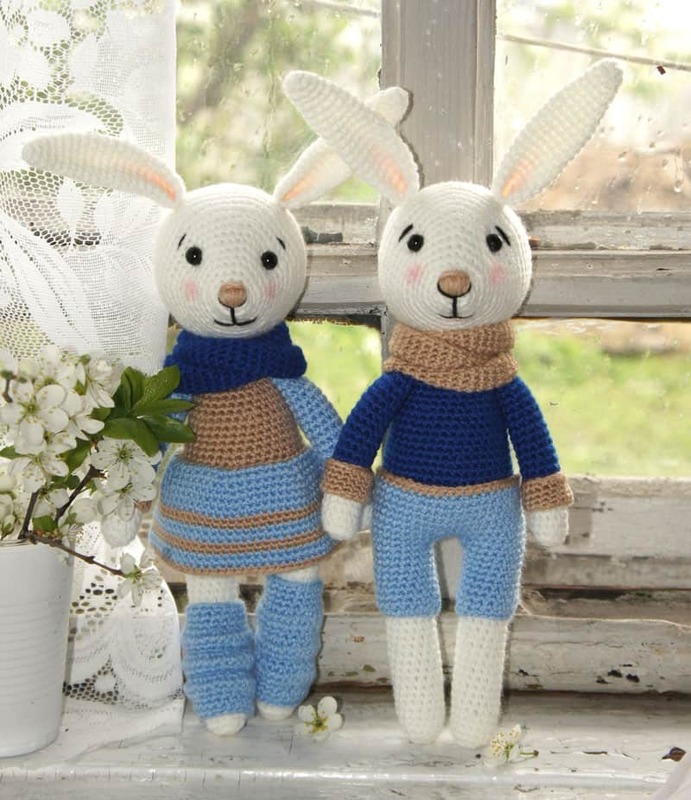 If you want an interesting and unusual bunny pattern, have a look at this one. 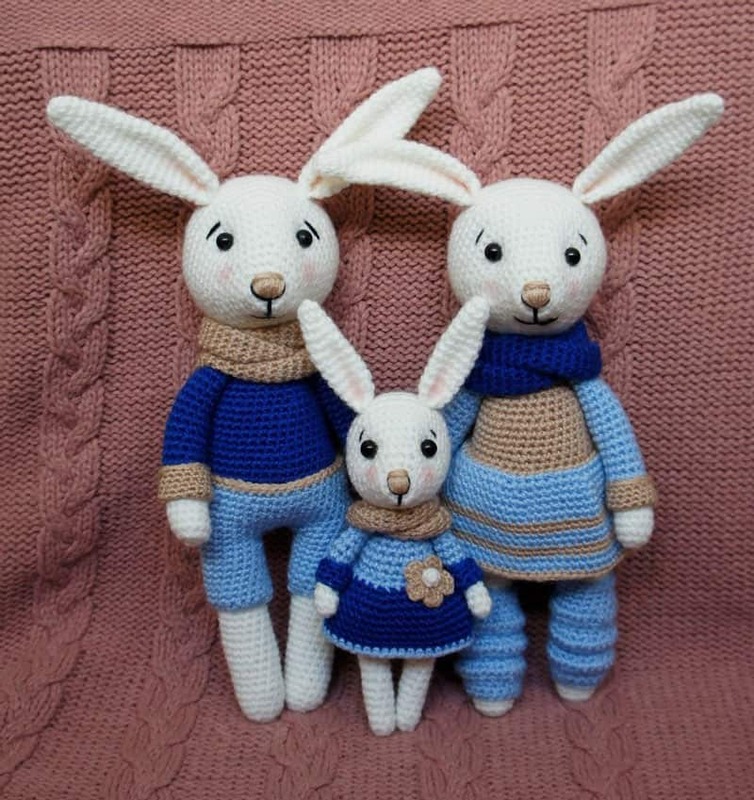 It can help you to crochet a whole bunny family! Choose 4 yarn colours, one of them should be white. Choose a suitable hook for your yarn. 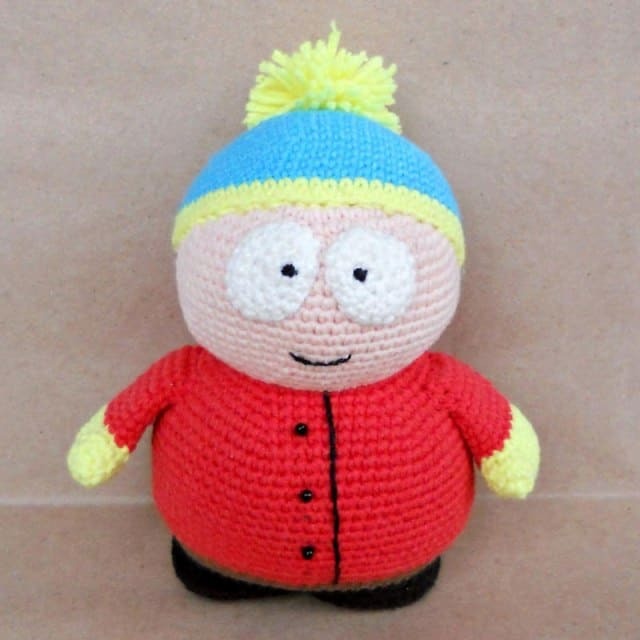 Also, you’ll need beads or safety eyes, stuffing and sewing needle. 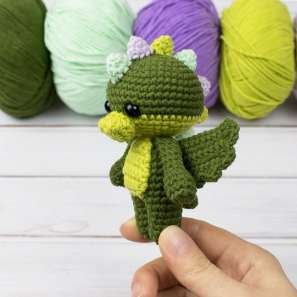 Let’s create these cute crochet toys! Close the opening, fasten off, leave the end for closing the opening. Rnd 3-7: sc in all 12 st  Change the colour for the first additional. Rnd 2-7: sc in the next 15 st  Fasten off, cut off. Get the cuff a bit down to get a slight bend. 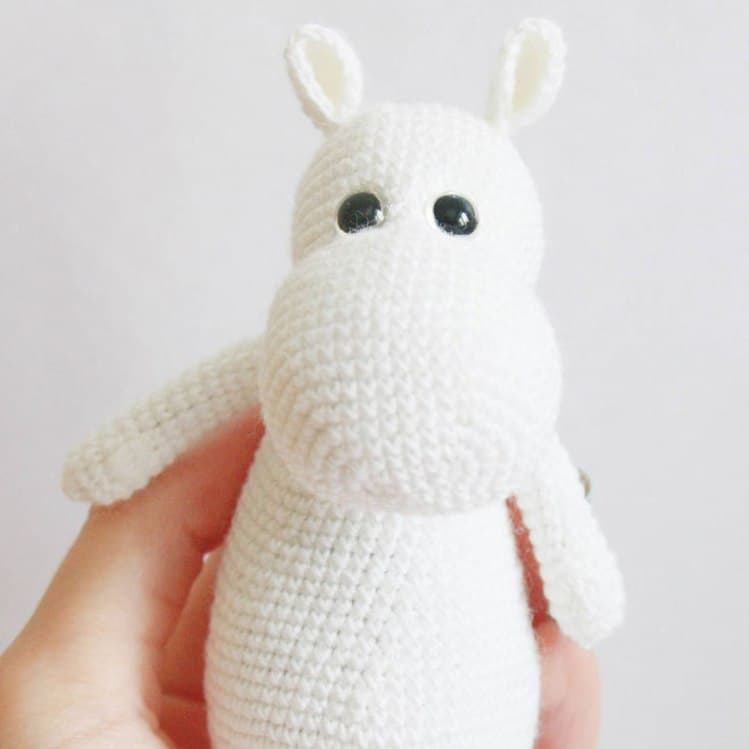 Crochet 90-100 rounds around to get three turns around the neck of the bunny, sew the ends to get a circle. Rnd 4-26: sc in all 15 st  Fasten off on the first leg and cut off. 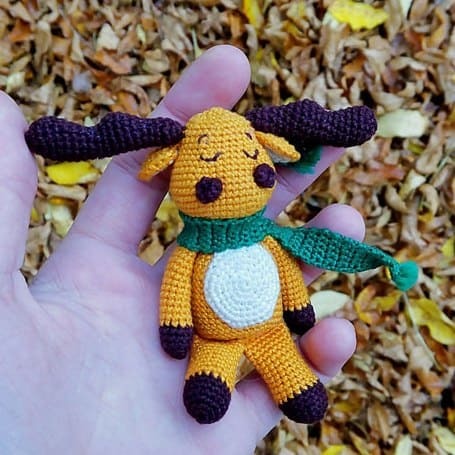 Don’t cut off the yarn on the second leg, continue crocheting the body. 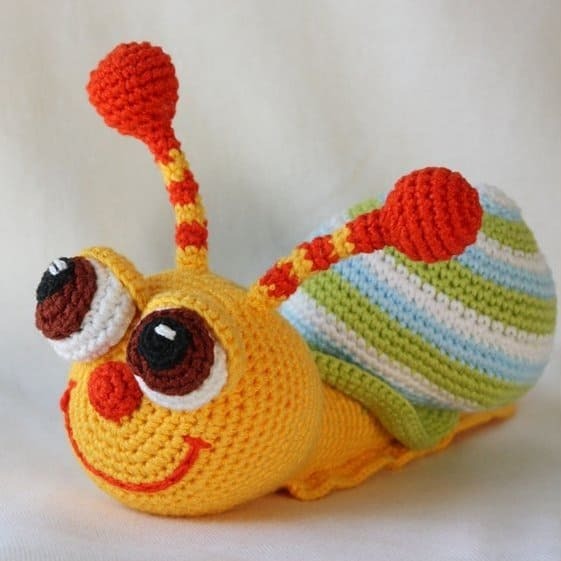 Rnd 1: 6 sc, join with the first leg, continue crocheting in rounds. Change the colour to the main one. Rnd 27: (sc in the next 2 st, dec) repeat 6 times in back loops only . Fasten off leaving a tail for sewing. Rnd 6-7: sc in all 66 st  Change the colour for the additional colour 2. Rnd 8-9: sc in all 66 st  Change the colour for the additional colour 1. Rnd 10-11: sc in all 66 st  Change the colour for the additional colour 2. Rnd 12-13: sc in all 66 st  Change the colour for the additional colour 1. Rnd 14-15: sc in all 66 st  Change the colour for the additional colour 2. Fasten off with sl st, cut off the yarn. Flatten and crochet 7 sc. Fasten off with sl st, leave the tail for sewing. Fold in half when sewing. Rnd 16-18: sc in all 18 st  Fasten off, cut off the yarn. Sew the head to the body, make contractions for eyes, embroider a muzzle. Sew arms to the body, put on gaiters and a snood. Fasten off on the first trouser leg, cut off. Don’t cut the yarn on the second trouser leg and continue crocheting the upper part of the shorts. Rnd 1: 4 ch, join the first trouser leg with the second with sl st, continue crocheting in rounds. 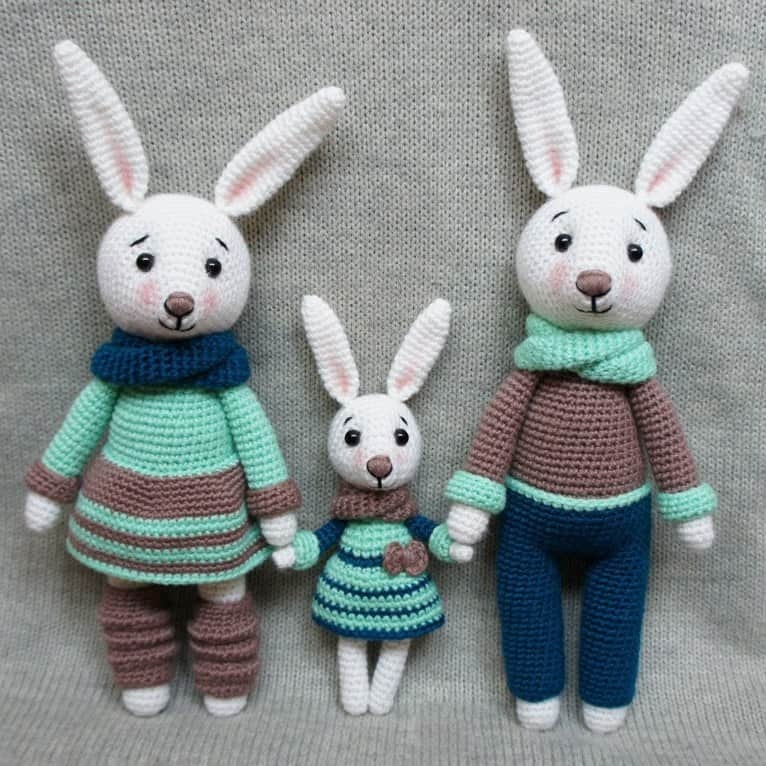 To crochet a daughter bunny make all parts smaller in half. 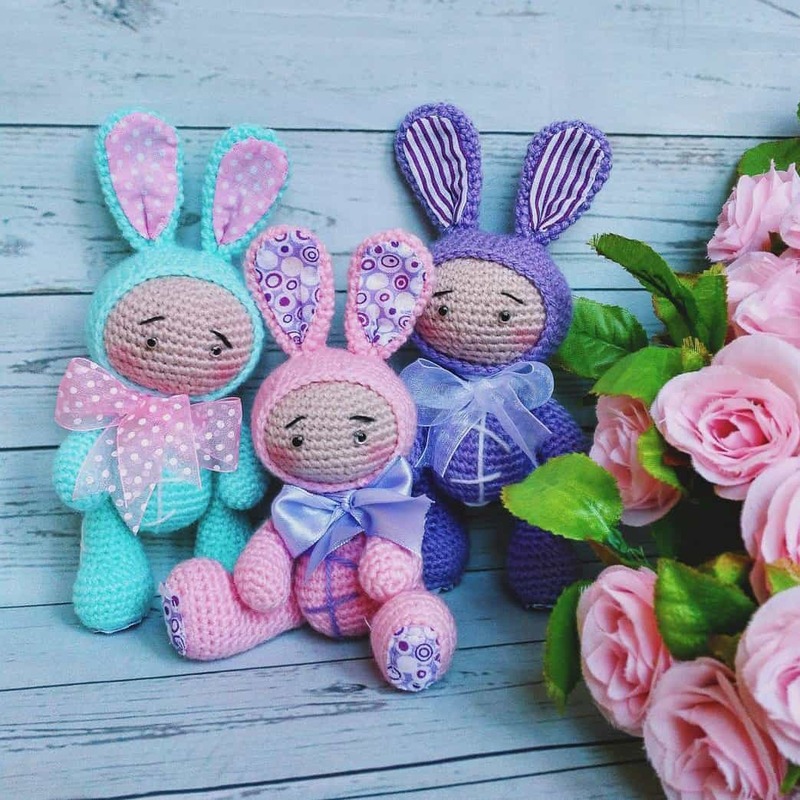 If you have a question concerning these bunny family crochet toys, please write it in the comments. Where I put the eyes? Hello. What does it mean all part smaller in half? Can you give me one example? Wihich is working in half? Hi I’m a bit confused about the boy pattern I want too do the one with the navy legs are the legs done separate to the long pants? Please, what’s the finished size of the bigger bunnies? Vielen Dank für das Muster. Es ist sehr nett von Ihnen, dass mit uns zuteilen. Thank you so much for your wonderful patterns they are a delight.How generous of you to share them with us. For the daughter bunny, must we do half the number of stitches per row and half the number of rows? No pones el patrón del conejo pequeñito???? Adorei, lindos esses modelos !